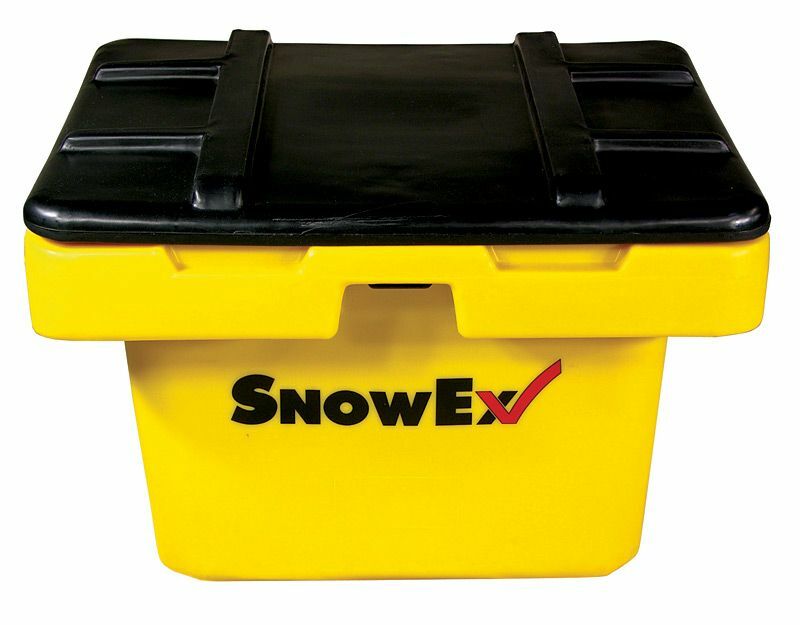 This SnowEx Salt/Sand Storage Box SB-1100 11 cu.ft. 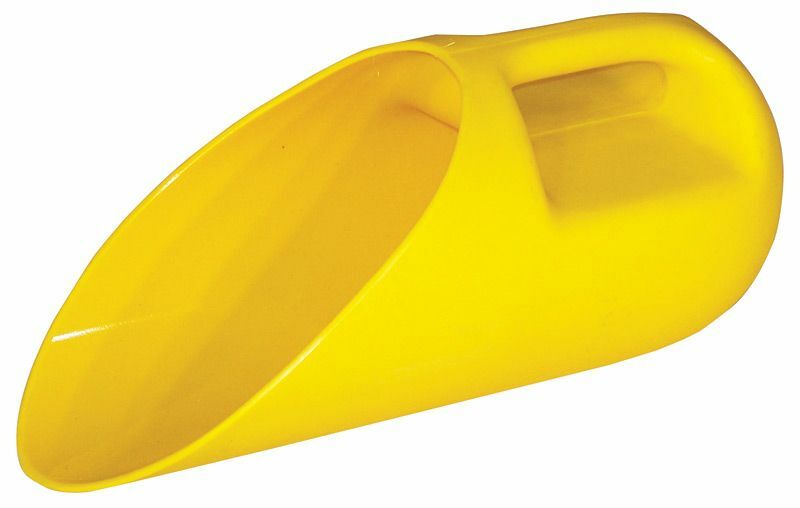 capacity is water resistant, strong and durable. 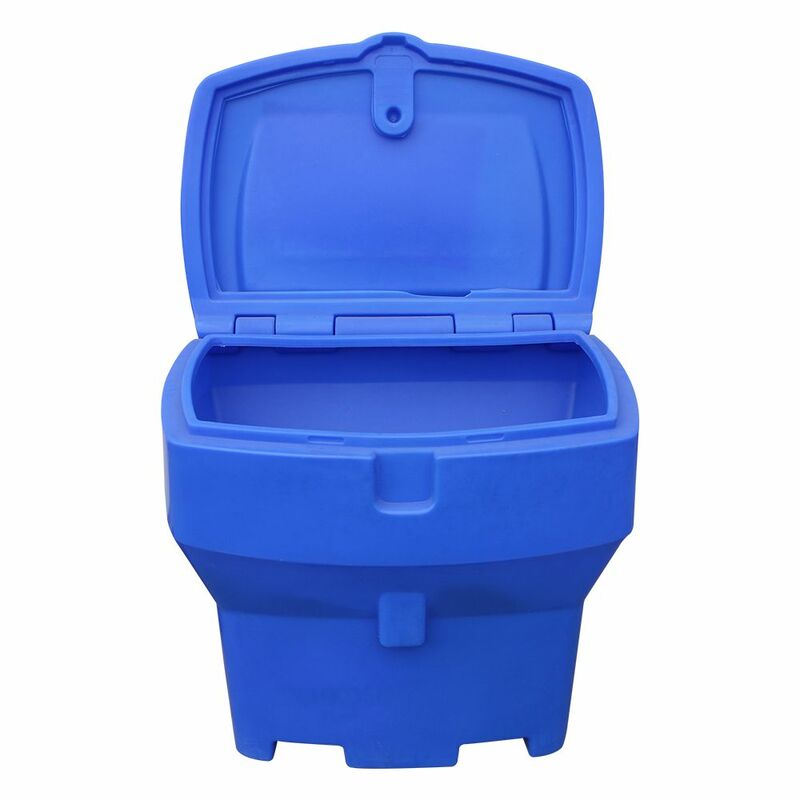 This heavy-duty salt box includes a lockable lid for maximum material/gear protection and integrated fork pockets for simplified transport. Polyethylene construction-eliminates corrosion. 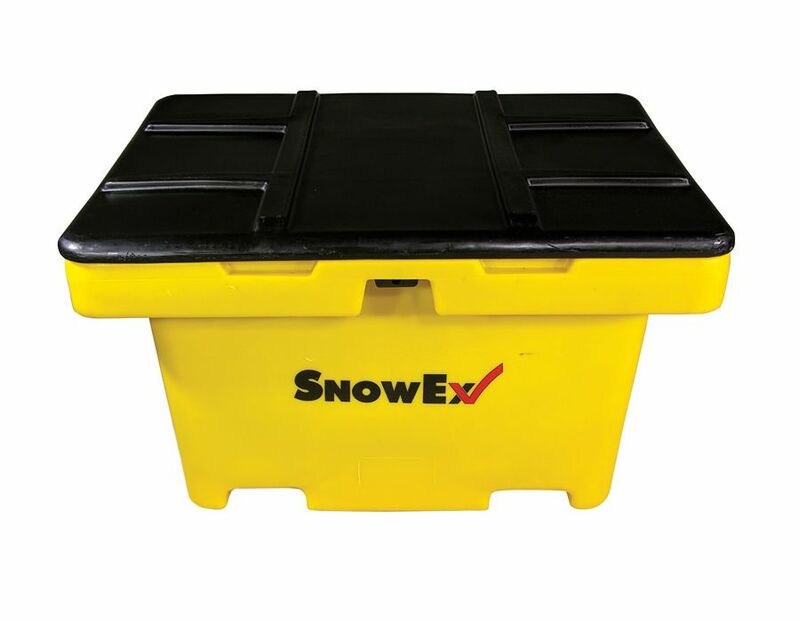 Find this SB-1100 Salt/Sand Heavy Duty Storage Box at Kooy Brothers Equipment Ltd. located at 1919 Wilson Avenue in Toronto Ontario.